Since giving up regular, perfect solar beauties, my nails are usually just clipped, clean, and natural now –and I sort of hate it. There’s just something that makes me feel so much more put together and girly when my nails are done. Learning to love (coming to terms with) my stubby, boyish nail beds is a work in progress (I’m trying.) I’ve mentioned before that my polish philosophy is simply on or off –no in between, which is why I preferred solar nails as long as I did. 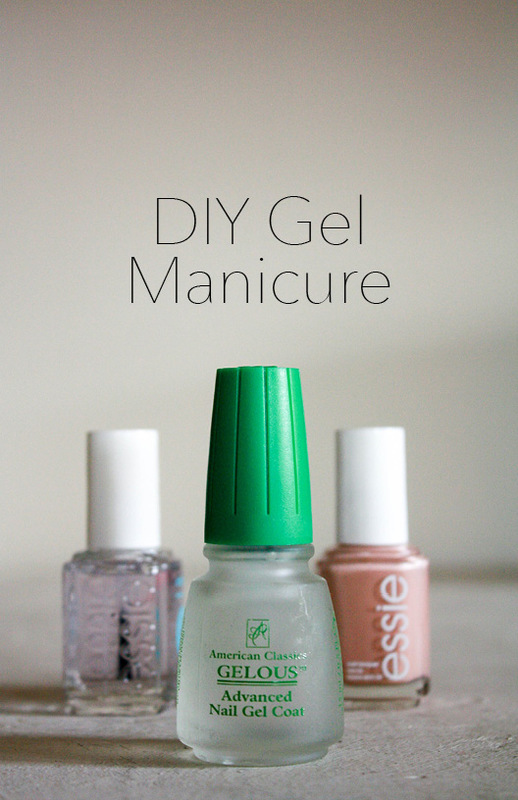 I’ve read buckets of Pinterest promises surrounding the “DIY Gel Mani effect” of Gelous Nail Gel, grew tired of starring at my little, boring fingers everyday, and decided to find out if it actually works. Apply first thin coat of Gelous Nail Gel. Dry 2 minutes. Apply first thin coat of Nail Polish. Dry 3-4 minutes. Apply second thin coat of Gelous Nail Gel. Dry 2 minutes. Apply second thin coat of Nail Polish. Dry 3-4 minutes. Apply Clear Top Coat. Dry 2 minutes. Clean up around the edges (if needed) with either a thin, stiff brush or Q-tip and Acetone. Time Commitment: We’re looking at roughly half an hour. As they mention in the inspiration post (here), make sure to drag the corner of the brush along the tips of your nails to seal them off with every step. 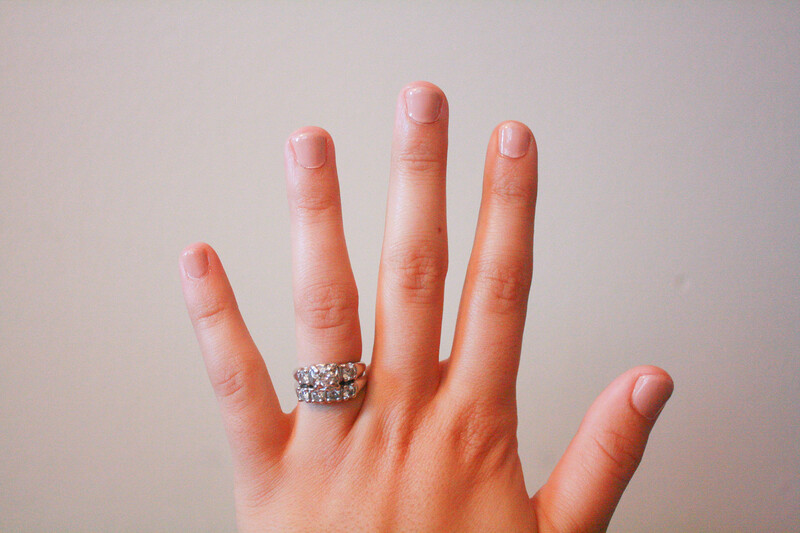 If it makes your mani a little messy, just clean it up in step 9 -it’s worth this extra effort to prevent chipping.